Weighty Matters: Is bariatric surgery comparable to a knee replacement? 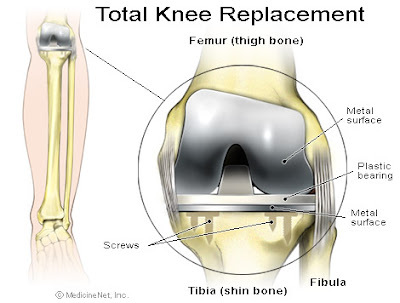 Is bariatric surgery comparable to a knee replacement? Regular readers of Weighty Matters may recall a blog post from December where I reviewed the new rules surrounding access to bariatric surgery in Ontario. To summarize my post I suggested that the new rules are meant to dramatically limit access to the surgery and that the limitation is a consequence of fiscal constraints and not like the Ministry has suggested, a move to increase access to care. In the news piece there are some statements that were made by my colleague Dr. Dent that I want to discuss here. Dr. Dent reports that the criteria will "streamline" the process and ensure that people, "who just barely met the criteria" won't get the surgery and ensure that, "people who really need it" will. Streamline? Before this new system was established a family physician could apply to have their patients seen by a surgeon and have an approval and an appointment to meet the surgeon within 6-10 weeks. Now the wait in Ottawa is a minimum of 6 months to be seen in consultation just to determine if you'll even get a chance to be seen by a surgeon. It's important here to note that Ottawa only just opened its doors. Head over to Toronto where the doors have been open for a few years and even without these new hoops to jump through the wait there's roughly a year to have a consultation. Regarding those who "barely met the criteria" - aren't the criteria themselves meant to weed out people who don't need surgery? Furthermore, given the past few years worth of studies that have shown the incredible benefits of bariatric surgery isn't there a growing movement that suggests the current criteria are in fact far too strict? Dr. Dent goes on to state that the determination of surgical need is a highly specialized area and that "the average family doctor is ill-equipped to make such a determination." He also suggests that patients need to be assessed to ensure they can tolerate the surgery because some are at too high a risk. Determination of surgical need is far from highly specialized. There are certain criteria that need to be met and then some exclusionary criteria as well. Family physicians spent a minimum of 6 years in medical training and I'm quite confident if given a document spelling out who is, and who is not a surgical candidate, they'd be able to figure it out. What was lacking with the old system wasn't the skill of the physicians, it was education of the physicians and educating physicians would be as easy as spelling out the inclusionary and exclusionary criteria on the required application forms. On the other hand, I would heartily agree with Dr. Dent that determining surgical risk is highly specialized. Of course traditionally that is something that's done by surgeons and anaethetists during or ancillary to a patient's surgical consultation. "The precedent is there. We have these for joint replacements, we have the knee clinic at the Ottawa Hospital so if the physician is worried about somebody’s knees they send them here. They don’t do the assessment and the actual referral for surgery." Bariatric surgery is not comparable to a joint replacement. Indeed people may suffer waiting for a year or two for joint replacement but that suffering doesn't tend to kill them or put them at risk for further permanent damage. Bariatric surgical patients on the other hand do die on waiting lists and given the incredibly high rate of medical comorbidity are at dramatically higher risk of developing or worsening complications of type 2 diabetes, hypertension, sleep apnea etc. "If a patient has leukemia, they don’t do the treatment, they don’t refer for a specific treatment. They refer to a centre that deals with it." That's true. And in fact I think cancer is a much more comparable condition to consider. Of course if my patient is found to have cancer and I want a consult with an oncologist to quarterback treatment it'll take me a few weeks, not a few years. Oh, and about money. Dr. Dent mentions that it costs roughly $10,000 more per patient to send them to the US. That's true from an absolute dollar cost per procedure basis, but how much does it cost the health care system and the economy to have these patients wait for an additional year or two prior to their surgeries? There'll be the cost of two years of more frequent medical visits, certainly some hospitalizations, their medications, their days off work, increased rates of short and long term disability, decreased productivity etc. So to simply look at the cost of the surgery here versus the cost of the surgery there certainly isn't a fair comparison and doesn't take into account the realities of caring for these patients for the year or two they'll now be waiting. Bob, if you could create a system that worked as efficiently as referrals to cancer centres, I'd be firmly behind you in promoting bariatric assessment centres. Of course they don't and won't work as efficiently as there are far more people with a need for bariatric surgery than there are folks newly diagnosed with cancer. The way I see it, what the new system will do best is dramatically delay people from receiving a life-saving, co-morbidity eliminating, quality of life improving surgery. Now I know Dr. Dent and I know that he is an incredibly committed, sincere, and knowledgeable physician who has been a staunch advocate for obese patients for decades and really, I can't understand his positions at all. The Ministry's suggestion that the regional assessment centres will "streamline" access seems about as sensical to me as a mayor suggesting a rise in property taxes will save us all money. Truly in my head this can only be about funding and Ontario not having enough of it to cover the surgeries. To me to say otherwise suggests either an incredible amount of cognitive dissonance or not being able to see the forest for the trees. More importantly to ignore the fiscal realities of the situation makes it far less likely that people will seek out innovative ways to figure out how to best fund this life-extending, life-improving procedure or to tweak a socialized medical system that's clearly coming apart at its seams. Will your city sell out to KFC? Who'd have thought fishing could be funny? Proof the AAFP sold out to Coca Cola?